The pews were nearly full Sunday morning inside Our Lady of Lourdes in northeast Minneapolis. Father Dan Griffith took the last few minutes of Mass to fill everyone in about the landmark $210 million settlement between the Archdiocese of St. Paul and Minneapolis and 450 survivors of sexual abuse by priests. The agreement, announced Thursday, is the largest sexual abuse settlement yet of any Catholic diocese in the United States. "This is an opportunity for a new beginning," Griffith said. "But, to never lose sight of why we're in this position, that we were not vigilant in protecting children." Griffith says he made a donation from his parish to a fund to help pay the abuse survivors, because it was the right thing to do. 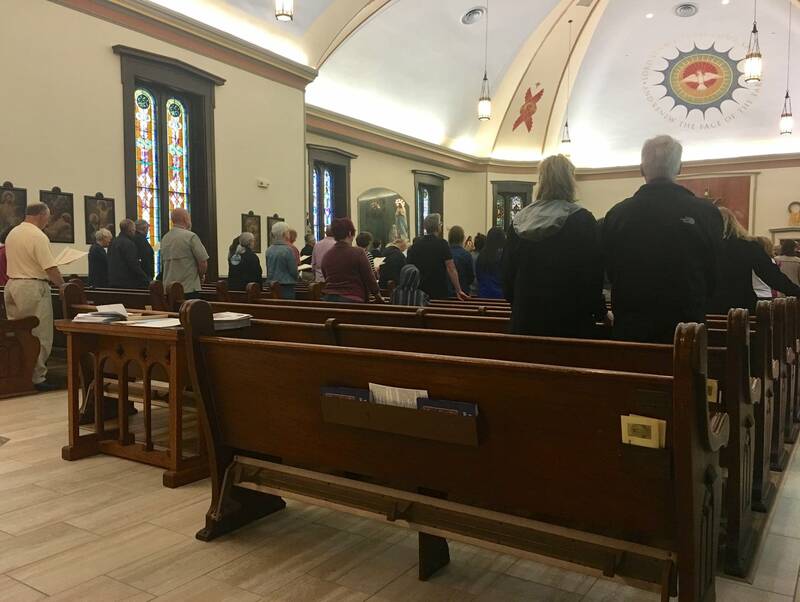 "While Our Lady of Lourdes didn't have a claim against it in its history, we are all responsible as well," Griffith told parishioners. Griffith said the churches that do have claims against them would pay more toward the fund. 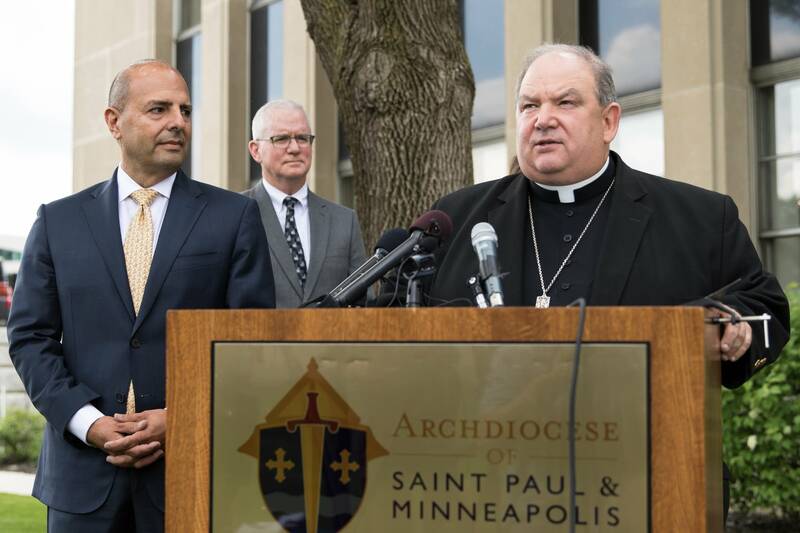 The Archdiocese of St. Paul and Minneapolis sought Chapter 11 bankruptcy protection in 2015, overwhelmed by abuse claims against some of its priests. 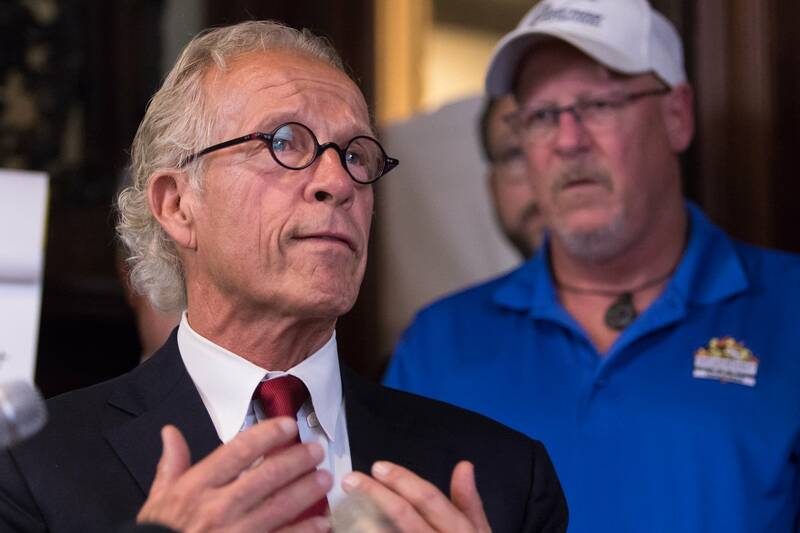 Many of those claims came after the Minnesota Legislature in 2013 opened a three-year window in the statute of limitations that allowed victims of prior abuse to sue for damages. Last week's settlement will help lead the archdiocese out of bankruptcy. According to church officials, about $40 million will be paid by the archdiocese and parishes. Insurers will pay $170 million. But practicing Catholic Susan Creel of Oakdale, Minn., said the archdiocese still has a long road to recovery in terms of trust. "Monetarily, and the general public's perception of our church have been damaged," Creel said. "The survivors and their families and the lawyers representing justice for those people — they're not the ones responsible for damaging our parish. Our church is, and our archdiocese." The Ramsey County Attorney's Office reached a settlement agreement with the archdiocese in 2015 over its handling of sexual abuse claims. It required the archdiocese to make changes to protocols for reporting and responding to allegations of clergy abuse. An audit released in January determined the archdiocese has been "substantially" complying with terms of its settlement agreement. It's commitment from individual parishes that Griffith said he believes will rebuild trust in the Twin Cities archdiocese. "It comes from following through on what we said we were going to do, that's how you rebuild trust," he said. "It's frankly the only way you rebuild trust." 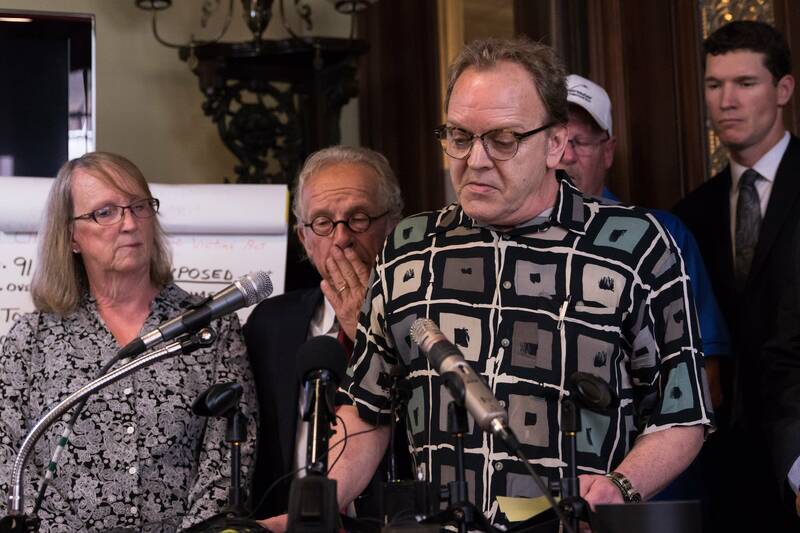 For lifelong Catholic Michael Darger of Minneapolis, the settlement with abuse survivors brings a great sense of relief. "It's good to have justice," he said. "The people who were hurt by this were hurt terribly, and it's good for the perpetrators, too; it's good for everybody to get a settlement and keep moving." Creel said she also feels relieved, but says she knows the survivors of sexual abuse may not see any of this as enough. "You know, there's a lot of pain in our archdiocese, rightly so, and the survivors and their families are the ones whose pain should be center stage. I defer to them," she said. At least 15 Catholic dioceses across the country have filed for bankruptcy, including three in Minnesota, as they've sought to protect themselves from growing claims of sexual abuse by clergy members. A fourth Minnesota diocese, St. Cloud, announced its intention to file in February but didn't immediately set a date.